From today, children in Bandar Lampung in Sumatra Island, Indonesia will be able to enjoy high-quality English language training provided by the UK-based Pingu’s English program. Pingu’s English Bandar Lampung is the fifth and largest Pingu’s English School to open in Indonesia. The school was inaugurated last week by Mr. Victor Chan, the CEO of PT Impact Teaching Center and Pingu’s English Indonesia’s Master Licensee. Already available in over 20 countries worldwide, including China, Cyprus, Czech Republic, Egypt, India, Malaysia, Poland, Portugal, Romania, Russia, Singapore, Thailand, and Ukraine, Pingu’s English is a unique children’s English language program which effectively builds the confidence and knowledge of young children to use and speak English. Already well-known for its effective and successful English teaching system in other parts of Indonesia, Pingu’s English Bandar Lampung promises to provide a fun-filled learning experience for a child that is unparalleled and exquisite. PT. 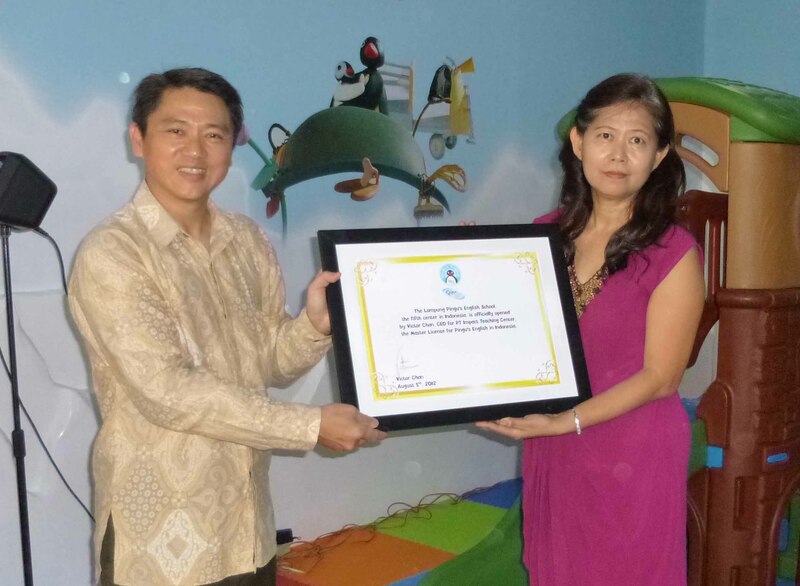 Trijaya Anugerah Abadi is the owner and Unit Licensee of Pingu’s English Bandar Lampung. The school is located strategically at Perumahan Villa Citra I RA 3-4, Jl. P. Antasari, Lampung, and is brilliantly designed, boasting four well-equipped classrooms and a large play area. “We are delighted to bring Pingu’s English to Sumatra Island. Children who join Pingu’s English will find a course that is wonderfully fun, linguistically rewarding and morally uplifting. They will not only learn English successfully, but will grow up happy, develop a good personality and character, and acquire behaviour and manners that their parents will be rightly proud of.